Imagine staring at the ocean, lying on a deck chair or sitting by the infinity pool while sipping on your fresh juice? If this sounds like you, you’ve come to the right place. Malaysia offers great options for a wonderful luxury holiday by the sea. Pangkor Laut presents the perfect weekend getaway, far from the hustle and bustle of Kuala Lumpur. This private island is next to the bigger and busier Pangkor Island, just three hours from the capital. The luxurious resort includes 140 villas and suites and has 300 acres of rainforest as a playground. If you feel like splurging, you can stay in the huge Pavarotti Suite. The tenor sang at the launch of the resort in 1994 and said the island was “paradise”. Other celebrities who have stayed here include Michael Schumacher, Eric Cantona and Michelle Yeoh. 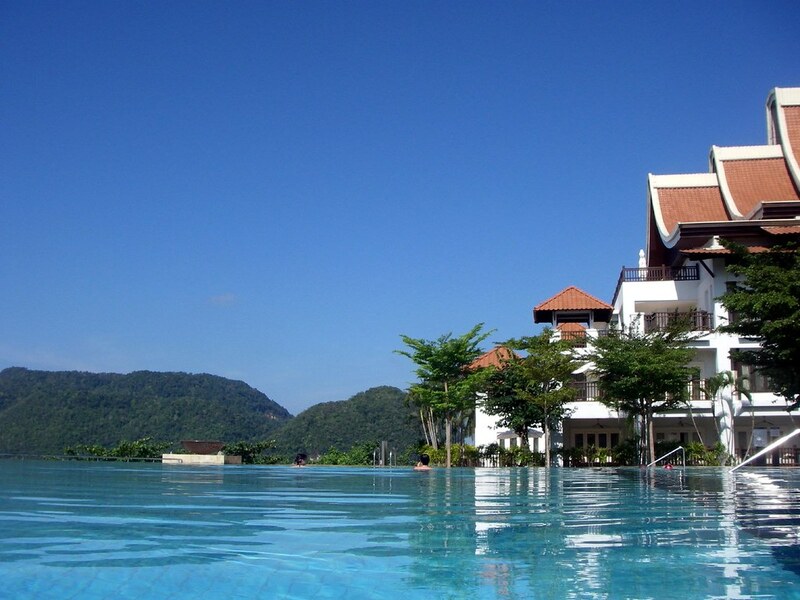 Tucked away from the duty-free shops and tourist areas of down town Langkawi, Westin is an oasis of high living. For a relaxed stay, take a stroll along the private beach or just lay on a chaise lounge by one of the swimming pools. The more adventurous can go on an excursion around the Langkawi geopark. The waterfalls and dense vegetation will delight nature lovers. At the water sport centre, you can try your hand at kayaking or windsurfing on the Andaman Sea. Families will also love the kids club, with daily activities for children. From the morning coffee to the evening dinner, indulge yourself with striking views of the ocean. This sumptuous complex on the coast of Sabah in East Malaysia is a luxurious dreamy village. You can dive in the South China Sea or discover the National Park of Mount Kinabalu, before relaxing at the spa and wellness centre. Shangri-La’s Rasa Ria Resort also has its own golf club, which has been moulded to match its beautiful surrounds. Staying at Sea Home Boutique is like travelling back in time. The furniture and antiques are a blend of Victorian and Peranakan styles, a reminder of the rich history of this place. Sea Home is in Tanjung Bungah, a former fishing village on Penang Island. It is the base of the Penang Water Sports Centre and close to Batu Ferringhi, a popular beach destination with one of the most iconic night markets in Malaysia. The capital George Town is just 20 minutes away. This luxury resort is on the private island of Tengah on the east coast of Peninsula Malaysia. Nestled within the rainforest and surrounded by pristine waters, the resort is the only development on the island. They have a turtle conservation camp plus a dive centre. They also programme activities for kids. After diving, you can enjoy a meal with your family and watch the sunset by the ocean or spoil yourself at the spa. Batu Batu is great for a family getaway. It’s also ideal for those across the border in Singapore. Nice and informative , I love this places. Amazing! must visit place in Malaysia. This is absolutely good resort in Malaysia that is worth to visit. Batu-Batu is one of the best beach resort in Johor that I stay before.